Im Not really a gamer, I don’t have the latest console only Xbox 360, PS3 and still even own a Nintendo wii, which is still great for party games, but enough of that. I have been lately playing games on my pc, now it’s not the greatest spec of a Intel core 2 quad 3ghz, 6gb ram and an ATI Radeon 6950 2gb, though this does allow me to play games though not at always the highest setting. I like the walking type sim games see HERE for some of my favorites so far. 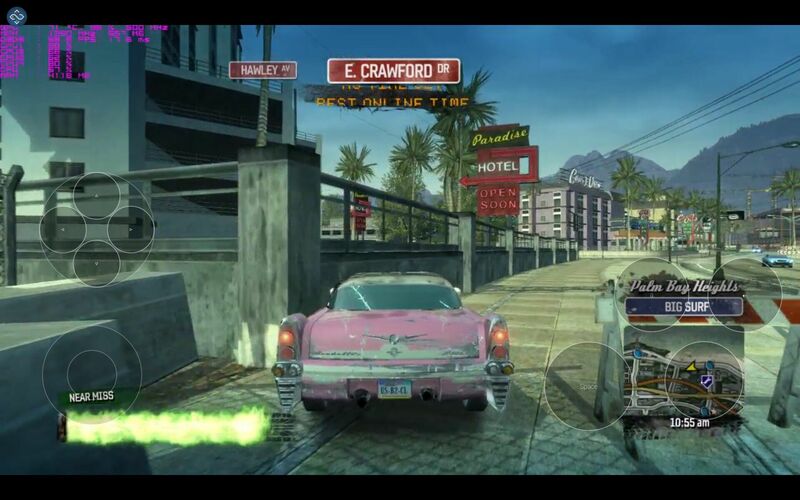 I do play other type of games including racing, adventure and even the Lego games as think these are great. The only problem with playing the games on the pc is that I have to be at my main computer desk. Which is in the living room, though this does mean I have a hdmi cable going to my main 42″ TV, so can play games on there instead of my main monitors which the biggest is a 27″. But this does mean if the missus wants to watch tv, I have to sit at the computer desk and have my headphones on. We have other TV’s around the house in the kitchen, spare room and a nice 37″ TV in the bedroom, but to play the pc on these would mean unplugging all the connection I have in on the pc, as the main use for my pc is business use. But also my main pc is also a plex media server so to get the best performance for this it is connected to the router through cable not wifi. So moving the pc to the desired TV around the house really isn’t suitable. So now enter streaming apps, these apps and pc software allow you to stream pc games to a mobile device. There are several that can stream pc games to iphones, iPads or Android tablet or phones, you do have services like steam and Nvidia shield etc, though these can be restricted with content ie older games normally won’t work with services like this. The best one I have found that suits my needs is Remotr another good contender is splashtop . 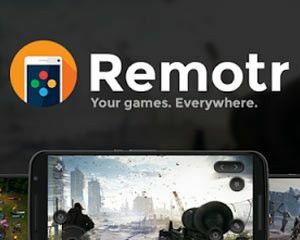 Remotr is a free service, though does have adverts, if they become annoying or you want to support the developer you can go pro for £1.49 per month. To setup Remotr all your have to do is install the software on your pc, I have used on Windows 8.1 & windows 10 with no problems. Download from HERE and then install the app on your Android device (iphones, iPad supported soon) You then sign up for account and use these details to login to the Windows software and Android app. Once you open the app on your Android device , the app should auto detect your computer, if not can manually add it. You will then see the games listed that was autodetected, if have manually added games these will show in the app tabs, there is also a media tab but not figured out how to get stuff into this part. Under the app tab you also have desktop this is great if even you just want to remote desktop into your pc and do remember unlike others services does stream sound. The run a game that was autodected is as simple as tapping on the game and will launch on your pc and then mirror the screen onto your Android device. I have only used this direct on my local network, so can’t comment on speed or quality over different WiFi connection or over 3G/4G. Within the app you can change setting to get the best for your speed of connection you have a choice of Balanced, Best Quality, Best Performance. Once the game is launcher I found the game I have tried so far have worked ok, with only slight pauses every now and again, the sound seems to be fully in sync with the picture. And not really any lag on the controls. So far I have mainly had on best quality though on some games have had to select balanced. I’m not fully sure if this made a difference but on some games lowered down the resolution of the game to 720p instead of 1080p and found this did seem bit smoother. For the game that I have manually added, once tapped on these, for me this just takes me to the Windows desktop and doesn’t launch the game, thought if launch from the Windows desktop the game runs fine. In full screen mode (not like splashtop as needs to be in windowed mode), Though if you want you can run the game in windowed mode. I have found it to stream even older games as was playing The Simpsons – Hit & Run and this was released in 2003. And also played Lego – Lord of the rings, Trackmania, submerged, Burnout paradise and a few more and these played ok. Will be trying everybodys gone to rapture soon. Not tried that many as only just reloaded my pc. For controlling your game you can use onscreen controls which you can customise so you can have any buttons you want on the screen, or the app does support controller that you may already use on your Android device, though I had a problem using my ipega 9023 Bluetooth controller, in that the controller kept loosing Bluetooth connection at the same time remotr would loose connection to my pc. Though for me as I use a wireless Xbox 360 controller on my pc, the signal for this works around the house so no need for local controller or on screen controls. I haven’t run that many games so far through remotr as at the moment using my hudl 2 tablet using the screen or plugging in a hdmi cable to the TV to play the games. I will be getting one of these cheap £20-£40 quad core android TV boxes and trying it with this as for me this would solve a few problems, so can play my pc games in any other room, so will post back the results on this once got one within the next few weeks.